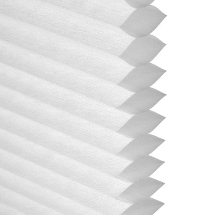 Our Cordless 3/8" Single Cell Shades come with light filtering honeycomb fabric that softly diffuses light while providing privacy. Made from durable polyester fabric that resists fraying. The fabric on this shade is rich and beautiful. Each shade comes standard with a cordless lift. 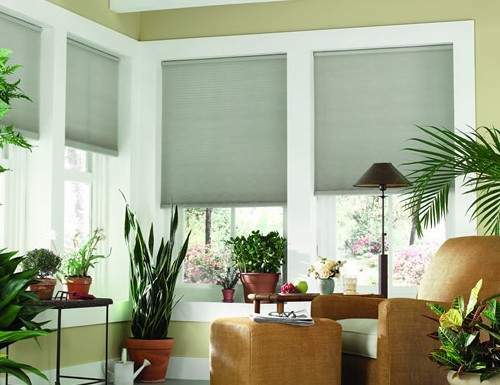 Simply raise and lower the window shades by lifting or pulling on the bottom rail. Ideal for child and pet safety. Our Sunlera Cordless 3/8" Single Cell Shades begin production the morning of the following business day and typically ship that day, thus changes cannot be made after order is placed. W: 21" 22" 23" 24" 25" 26" 27" 28" 29" 30" 31" 32" 33" 34" 35" 36" 37" 38" 39" 40" 41" 42" 43" 44" 45" 46" 47" 48" 49" 50" 51" 52" 53" 54" 55" 56" 57" 58" 59" 60" 61" 62" 63" 64" 65" 66" 67" 68" 69" 70" 71" 72" 0/0"1/8"1/4"3/8"1/2"5/8"3/4"7/8" H: 24" 25" 26" 27" 28" 29" 30" 31" 32" 33" 34" 35" 36" 37" 38" 39" 40" 41" 42" 43" 44" 45" 46" 47" 48" 49" 50" 51" 52" 53" 54" 55" 56" 57" 58" 59" 60" 61" 62" 63" 64" 65" 66" 67" 68" 69" 70" 71" 72" 0/0"1/8"1/4"3/8"1/2"5/8"3/4"7/8"
Does this blind have a valance and is it included? No, these shades do not have a Valance, but the headrail will be coordinated to match. Please let me know if you have any additional questions. I love these shades, they’re a nice soft look. I love these shades, they’re a nice soft look. 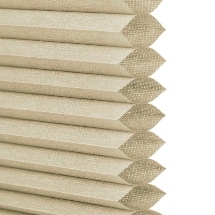 I’m always happy with my purchases from blinds chalet. Easy to measure and hang. They get it right every time. I will be ordering more shades for the rest of my home. The look is really beautiful. We are very happy with this shade and it was delivered on time with no issues. The blinds worked great and looked great. 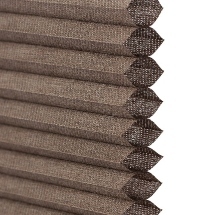 The blinds worked great and looked great. Easy to install. I received the shade and it is perfect. I received the shade and it is perfect. In color and workmanship. The samples were great. I am very satisfied. Good quality as well. Would highly recommend BlindsChalet.